Choose asparagus that is BRIGHT green, with no shriveling. Prepare a little extra because roasted asparagus is GREAT to add to your morning eggs, quiches, soups, & especially to have extra on hand to munch on! Place asparagus in a large bowl, and drizzle with oil. Toss to coat , then sprinkle with Parmesan, garlic, salt, and pepper. 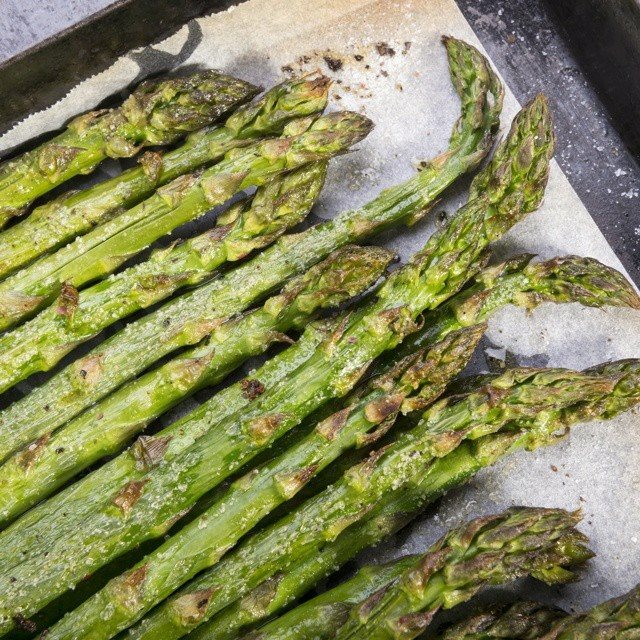 Arrange the asparagus onto a flat baking sheet in a single layer. Roast in your preheated oven until just tender, 13-15 minutes depending on thickness. Sprinkle with lemon & serve! 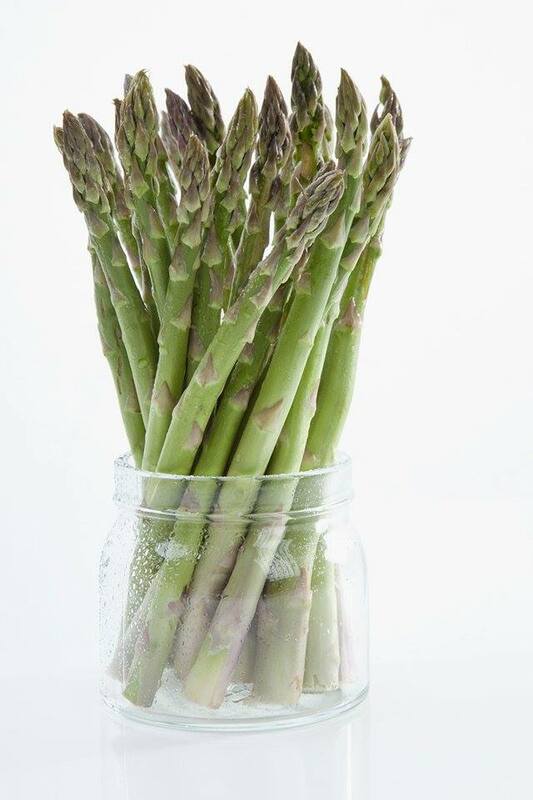 Did you know that you can store FRESH asparagus in the refrigerator for up to 2 weeks by chopping a bit off the ends and placing it end side down in a glass jar with several inches of fresh water – like a bouquet!